Thanks to new business venture opportunities we have brought on Rhys and Kevin as new starters. Should you have the pleasure to work alongside them, then please give them a warm welcome! 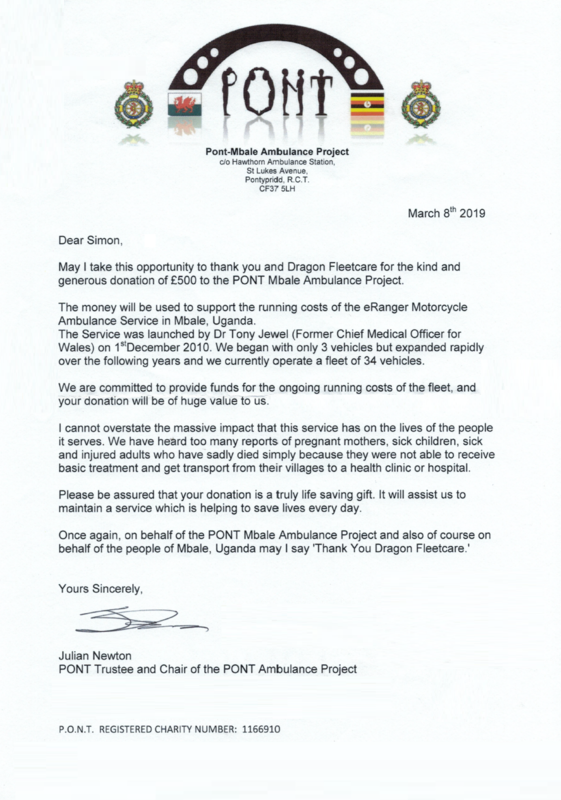 We have managed to raise a grand total of £500 for PONT Mbale through fund raising in 2018, we hope that this will significantly assist PONT with their future in the region of Mbale. We have jointly decided to support Diabetes UK as our charity of the year 2019. With the increasing amount of people who develop diabetes, there is no better time to be supporting such a charity in making their lives easier. 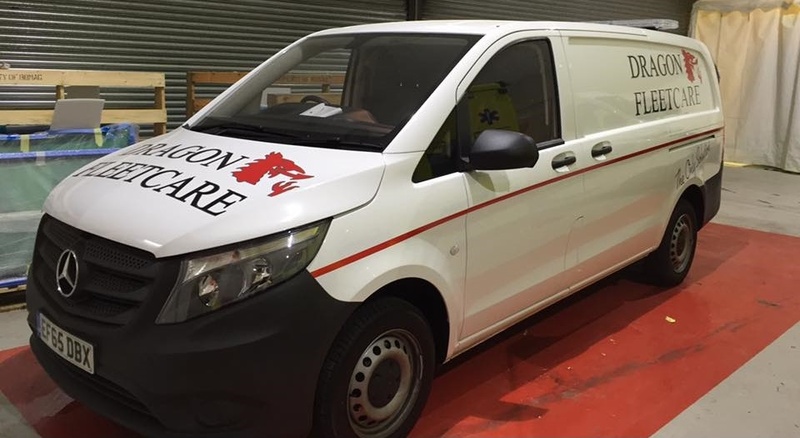 As the new front line EMS vehicles are starting to go on the road for Welsh Ambulance, in honour of the 100 year anniversary of the armistice treaty being signed and in memory of the many who lost their lives in the war, the new vehicles will be going on the road with poppy decals on them. Our thoughts go out to all of those who have lost friends and family, however it may of been. And as we move into the future we hope that as humans we learn to better care and love human life. Throughout 2018 we've been raising money for the Partnerships Overseas Networking Trust Mbale charity, they are a collective of WAST staff that have been providing training and support for health workers in the Mbale region of Uganda over the past 10 years. Before they went over there the region had no ambulance service at all and very few doctors available, but since then PONT have done amazing work and have trained over 1000 health workers, they have also provided 34 motorbike ambulances, 30 bicycle stretchers and 90 mountain rescue stretchers to be used to get ill patients where they need to be. Needless to say that the work this charity has done is outstanding, and has vastly improved one of the poorest regions in the world. 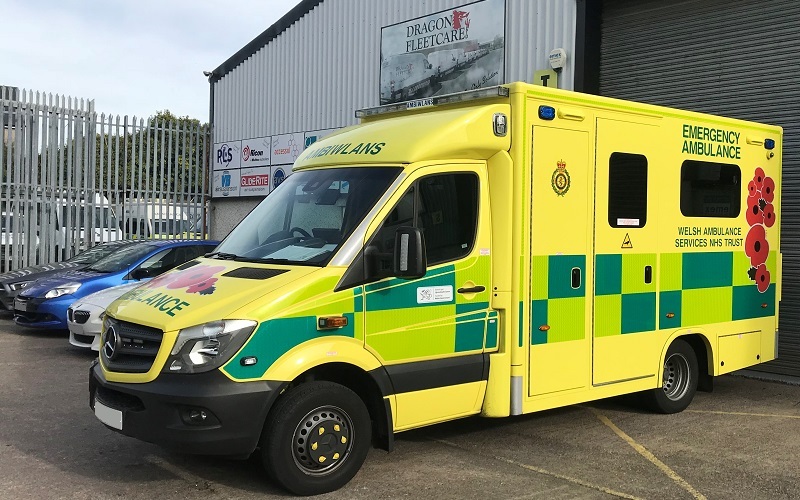 As the new vehicles have started arriving for Welsh Ambulance, we are assisting their workshops and fleet departments with the install to get them out on the road and doing what they do best, saving people's lives! 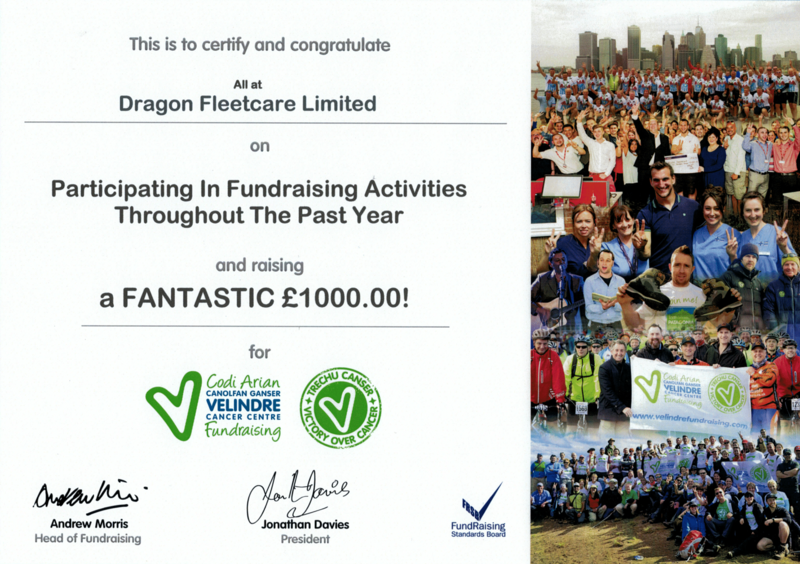 During the course of 2017 we have managed to raise a huge £1000 for Velindre Cancer Centre! This money will go to supporting the patients and their families and give them hope for the future! We're proud to announce that we've been trading for 16 years as of today! We'd like to thank all of our customers for their continued support over the years, and we will continue to assist them all into the future. 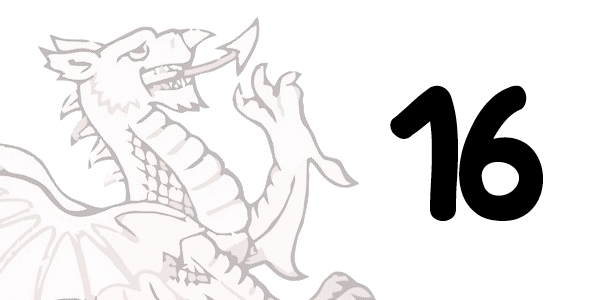 Here's to many more years of Dragon Fleetcare! Furthering our knowledge on Eberspächer heaters, we have had half of our engineers go on their hydronic heater training course, with the other half planned to attend in the new year. With this we will be able to assist fleets who have moved on to this style of heater in their vehicles. Once again we have had a coffee morning fundraiser to raise money for Macmillan to help with the prevention of cancer. Between us we have managed to raise £148 for the charity! Continuing our venture into working with more bodybuilders we are attending a 3 day training course in Poland to become an authorised agent for BAUS AT. Branching out to work with more bodybuilders we have now had training with VCS, Vehicle Conversion Specialists, and are now agents for them and can carry out repairs on their behalf. To assist with our operations in the office we have now employed another member of staff, so if you get the chance to speak to her, please give a warm welcome to Lillie. Keeping our engineers up to standard we have had them carry out refresher courses with PLS, as well as having 2 more of our employees trained up to assist with the demand in work. 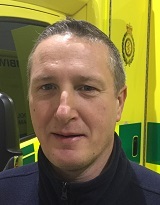 Adding to our cast of engineers we would like to welcome Lee into the fold, if you also get the chance to meet him please give him a warm welcome. We would like to announce that we are now authorised service agents for Ricon having several of our engineers being trained to be able to carry out repairs on their entire range of products. As a team we have now decided on our charity of the year for 2017. We are happy to announce the charity we will be supporting this year is the Velindre Cancer Centre! Over the course of 2016 we have managed to raise an amazing £626 for the Make-A-Wish Foundation. We hope that they use the money well and make the dreams come true of the children that are battling life threatening illnesses. On top of the 8 already qualified Stryker stretcher repairers we have, we have had the other 4 of our engineers trained by them as well, and can now confidently say that all of our engineers are fully qualified to service and repair Stryker stretchers. We are all extrememly thankful for the amazing night out at our Christmas party at Best Parties Ever in Cardiff that was put together by Simon for the whole of the team at Dragon Fleetcare. In the run up to Christmas being one of busiest times of the year we have added another two service vans to the fleet. To support Macmillan's day we had an in house fundraiser where we managed to raise £120 for the charity to help with the prevention of cancer. We hope that many more of you also helped around the country by supporting your local coffee mornings! 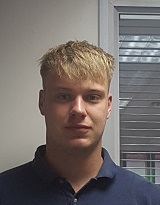 We have taken on another engineer, Jordan Cripps, to assist with our operations throughout the UK to keep our customers on the road. If you meet him, please give him a warm welcome! We are happy to of sponsored Treka Bus for £250 towards doing a fundraising skydive on behalf of the Hollybank Trust. If you wish to be to donate towards their cause then you can do so here, https://www.justgiving.com/fundraising/treka. 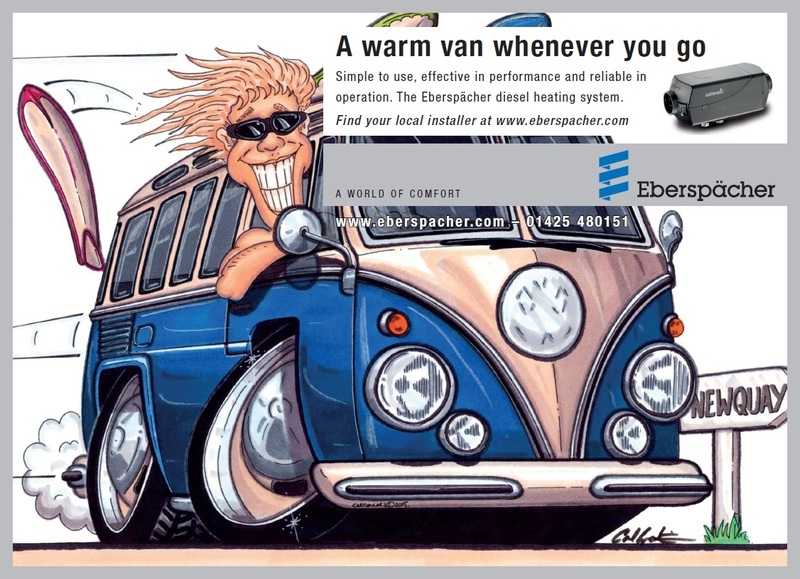 Eberspächer have deals going from February to the end of March 2016 on selected products, so if you are interested in getting a new heating or air-conditioning system fitted to your vehicle, then there is no better time than now to enquire about a quote. This year we will be sponsoring the Make-A-Wish Foundation in the UK. Make-A-Wish works to give children battling life threatening illnesses a chance to have their dreams come true to make their lives better. During 2015 we were raising money for LATCH children's cancer charity, and are happy to announce that we managed to raise a total of £700! We hope that they find good use of this money and continue to do such amazing work to support the children and their families! To extending our coverage further, we have introduced another service van into our fleet. Now with all decals fitted! We have had four of our engineers trained up with Passenger Lift Services for repairs and to do the LOLER tests on their tail lifts. We are grateful to have received a letter from the Mayor of Newport for our contribution towards the Caerleon scout building, we hope that by giving the building a new breath of life, it will encourage others and make a positive impact on the community. 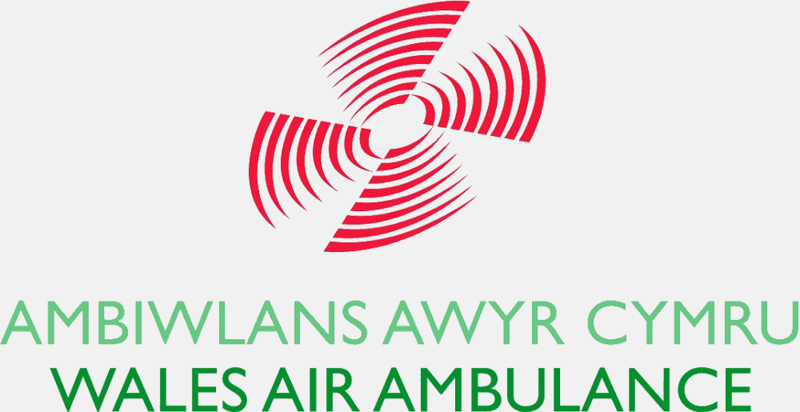 We are happy to announce that we are now working with the Welsh Air Ambulance to maintain their RRVs'. 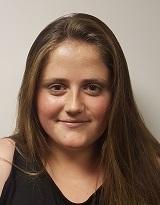 Unfortunately Becky has now left us to follow her dream of travelling, however we all hope she has a wonderful time and would like to wish her the very best in the future. We have sponsored Rhymney RFC under 14's in order to help them with getting new kit for next season, and wish them all the best in the new season. 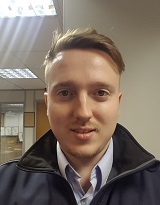 We are happy to announce that Dan has now joined us in the office, if you have the chance to speak to him, please give him a warm welcome. We can announce that we are now accredited service agents for Transport Door Solutions. We cover the whole of South Wales on their behalf, and will be working closely alongside them to ensure each customer is provided with consistent, professional and timely results. We would like to welcome Ben to our team, should you get the chance to meet him, please give him a warm welcome. For our charity of the year, this year, we will be raising money for LATCH Welsh children's cancer charity. LATCH is a charity that supports the children who are receiving treatment for cancer at the Children’s Hospital for Wales and their families. During the course of 2014, we have managed to raise £700 for the Welsh Air Ambulance, so would like to thank everyone who made it possible to raise this fantastic amount. We are currently voting for the charity of the year, for this year, and hope to announce it soon, and fingers crossed that we can continue to increase on our previous charity donations throughout this year as well. © Copyright 2019 Dragon Fleetcare Limited.